Elaine is a startup veteran and corporate entrepreneurship consultant who has brought numerous high tech products to market. She grew up in Hong Kong, and moved to the US to study engineering at MIT – eventually building a career as a technology executive. She has served at the VP level at 6 companies, including Rethink Robotics, Zeo, Zeemote and SensAble Technologies. She holds 22 patents. 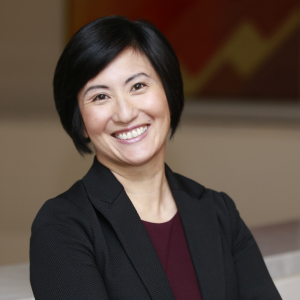 As Founder and Managing Director of ConceptSpring, Elaine helps corporate leaders create organizational structures and processes to build new internal ventures with the speed of a startup. Clients span diverse industries, including healthcare IT, industrial automation, robotics, consumer electronics, retail innovation, FinTech and more. She is the author of the book, “Bringing a Hardware Product to Market: Navigating the Wild Ride from Concept to Mass Production”.